What a treat! 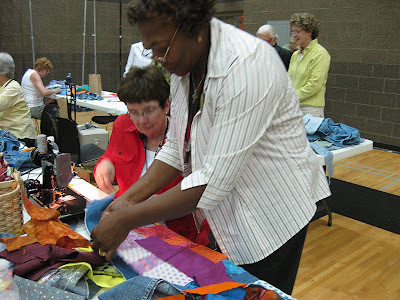 At Quilters Affair this year they had 7 ladies from Gees Bend visit and give mini workshops. I was very fortunate to be able to spend an afternoon with them. 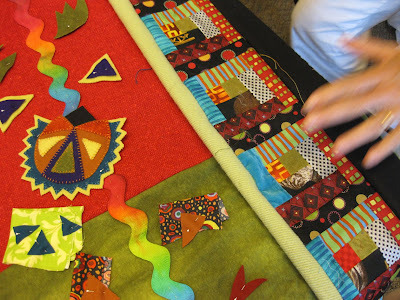 They shared a few of their quilts which were amazing and then spent the afternoon piecing with us. I am so drawn to their freedom of design. Anything goes in wonderful shapes and colors. No rotary cutters just scissors and a sewing machine. 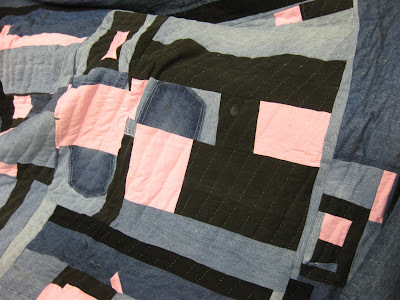 As you can see many use old clothing and each piece is hand quilted. Some of the students managed to make quite large pieces in the couple of hours. Using old clothes and scraps. Sally, Gwen and I decided to hand piece. I used these fabulous colors from Sally’s stash to piece my sample. It was an inspiring afternoon! On the last day I taught my Vintage Duffel from my ‘Urban Sacs’ book. 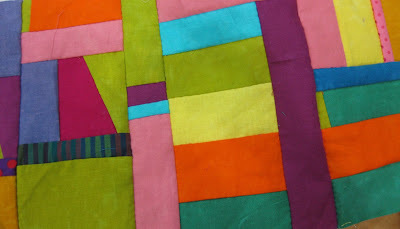 It was fun to see all the great color combinations coming together. 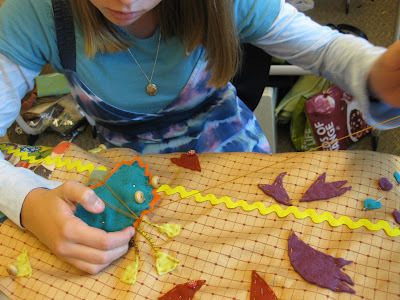 It is always good to see young girls stitching. Lindsey was the youngest student in my class and was making the tote to use as a school bag. 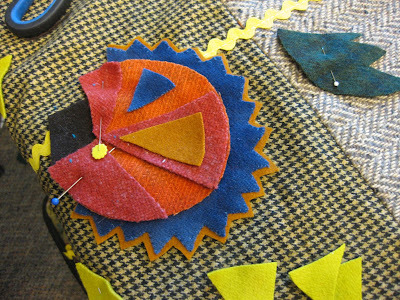 She worked with different fabrics, appliquing her design and couching her stems. This was a fun filled week. I was exhausted but enjoyed every minute of it. I will be posting tomorrow about the picnic and the outdoor show. This entry was posted on Tuesday, July 21st, 2009 at 10:14 am	and is filed under Uncategorized. You can follow any responses to this entry through the RSS 2.0 feed. You can leave a response, or trackback from your own site. What a fantastic post — so much to look at and consider. For instance, I am seriously considering that rainbow colored jumbo rick rack in the last Vintage Duffle photo. What a perfect trim. Any idea of the source? Did you see my finished Savannah Satchel? 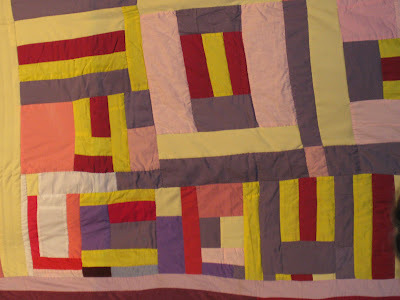 Love the Gees Bend quilts. I do like to make things without thinking and using what I have. They don't always work out, but it is fun experimenting. Will you be doing any classes in the Northeast? 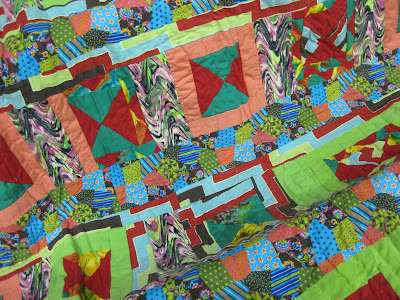 Ooo rainbow jumbo ric rak- wonderful!